First, this isn't exactly a tag, it's meant as a swap but I find the tag version more open since it's not catered to a specific person, and so more suited for a blog post. I saw this on The Shopping Queen blog. I LOVE this palette. Since I got it, I no longer want to use my Quo Back to Basics palette since they have a lot of the same shades and this one simply has better, more pigmented shades. For such a low price, I find it really amazing. After I started using this, I really never wanted to try any other body wash EVER. I have because I'm trying to be reasonable and to use my other ones but I have repurchased this like 4x at Winners and I don't plan on stopping! When using other body washes, I use a ton of product to empty it asap so I can get back to the Cake shower froths! After reading so many raves about this product I decided to go for it just recently. I use it as an eye makeup remover mostly and I definitely feel better using this than any other that I've used. It feels just like cleansing water or something, not oily, not stripping my skin of anything either. I don't wear heavy makeup though and usually no mascara so I don't know how it performs as a makeup remover for someone who puts on multiple layers of mascara, but it is very good for my purposes and I will have to try it for a week or so as a sort of pre-cleanser for my whole face to see what kind of results I get. Will I be converted to the fullest? I love the natural flush that this product gives my cheeks. You need to apply it a certain way for it to be even and not too intense but once you learn, it's simple and looks great and natural. I am really liking this product a lot. My nails look better and stronger, but honestly I can't be as enthusiastic about this recommendation because I just tried it recently and it's my first time trying a nail growth product... Without comparison it can be hard to know just how good it really is, but so far so good. I like that it smells like nothing and massages well into the nail without leaving any unpleasant stickiness or oily feeling. So I think it's nice! I got this as part of the birthday promotion at Sephora in November (2 weeks after my October birthday) and I just finished it. I don't know if I ever finished a lip balm so this is a testament to how much I like this product! It smells great, feels amazing and has a very light tint which I like. I'm going to stop myself from re-purchasing until I finish another balm that I have and really like, but it's good enough to make me wish I didn't even have the other one so I could re-purchase right away; that's a sign of a great product! I got a sample of this in my Ipsy box and I LOVED it. I couldn't justify purchasing the full size because of the price when I saw that a bunch of other 100% pure organic argan oil options existed for less. 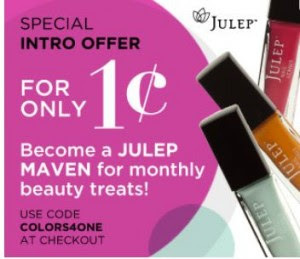 I now use the one by Julep but even though it's the same ingredient, I preferred the Josie Maran one for an unknown reason. For the price, I would rather go with Julep but the one I am recommending for quality is the Josie Maran one. This is my favourite BB cream! I love the smell and how it goes on. For me, it's a pleasure to use and that counts for a lot. I haven't tested wear time and oil control nor have I really tested it in any real way against other foundations or BB creams but since it perfectly suits my needs and I love putting it on in the morning, it's a great product for me! You add a drop to each nail a couple minutes after applying the polish and it helps set your polish quickly so you don't have to be a zombie for over an hour. I love this product and it's because of this product that I can do my nails. With a baby who still wakes up a lot in the night, I can never guarantee a whole hour to dry nail polish and with these drops, I don't have to! I hardly do anything with my hair except washing it (I mostly don't use conditioner, I don't dry it, style it, etc) but I will use this on my hair once a week or two and it makes my hair so amazingly soft and rejuvenated! I tried it after getting it in my Glymm box and bought the full sized product from Winners, they have a lot of items from Joico and will occaisionally get this treatment.